During FOXSoccer2GO’s free trial I decided to give it a go and see what it is like. My main reason for doing this is because I knew I would have a block of time free during the first half of the Real Madrid v Manchester United Champions League match. My whole plan was to find a place between clients that I could sit and watch the first half. I live in an area with 4gLTE and had the app loaded on my Samsung GS3. I set my quality settings low, just because I didn’t want to have any problems with viewing. Before I get into the fiasco of viewing the match I’ll review some of the features. On match day’s they have a list of all of the Live events available. This is laid out nicely and is quite easy to use. Across the top are tabs for Live Matches, News, Video (archived matches), and Scores. I definitely liked that they did not have the scores for matches in the video archives section, so that you could replay the matches and not get spoiled. I was disappointed with the lack of settings for video playback. The only settings available were for low, medium or high video quality. I would prefer to have buffer settings available to make sure that the whole match is actually watchable. The in game controls were easy enough to use and navigating the menus was also fairly easy. The problems with the app itself began as soon as I started trying to access the Real v United match. I immediately began to get error messages saying that the match can’t be accessed due to server problems. I continued to get this message repeatedly, even when attempting to access other parts of the app. This continued for about 15-20 minutes and included me restarting my phone. After I was finally able to get the match going it eventually dropped out and I got the error again. Following a few more error messages the match came back up. It was up in time for me to see highlights of Welbeck’s goal for United. This did not last long as it then began its fitful stuttering and stopping for the remainder of the half. The problem being that it doesn’t seem to know how to buffer. Instead it will delay for a few seconds and attempt to catch up to live instead of buffering the data and just playing on a delay. Its constant attempts to stay as live as possible completely ruined any chances of watching the match. I ended up missing Ronaldo’s goal since it stopped just as Di Maria was crossing the ball in. Instead I got to see more replays, until it cut out again. While the service is a great idea, it needs a lot of work. I’m assuming the online streaming via computer does work, when the servers are available, providing you have a good connection. Perhaps this would be worth it for some people, especially since FOXSoccer2GO does provide a wide range of matches available both live and on replay, but for me, I will not be purchasing this. I would consider spending the extra money if it were a lower cost (perhaps $5 per month), but for $19.99 per month, that is far too much. It is particularly too much considering the amount of bugs and errors encountered. For those of you out there that are willing to spend the $20 per month (or $169.99 for an annual pass) there are plenty of reasons to do so. FOXSoccer2GO is a safe and legal online streaming program. They do have apps for both iPhone and Android. Full match replays are available for all of their matches and they have every Champions League match live as well as over 270 Barclays Premier League games. Along with all of this there are Europa League matches available live and on demand as well as rugby games. I would re-consider purchasing this subscription service, but only on two conditions: they need to fix the bugs and errors (especially for the app) and they need to lower the price. The first is something that certainly can be worked on, but the second? I do not see them lowering the price, but more than likely raising it now that they will no longer have the rights to the Premier League for next season. 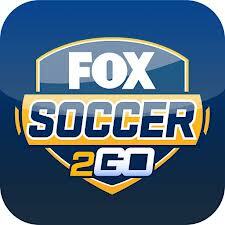 So, should you get FOX Soccer2GO? I would say it’s definitely a personal choice. It will provide you with a whole lot of opportunities for watching live and delayed football matches, but it could also provide you with a whole lot of headaches.